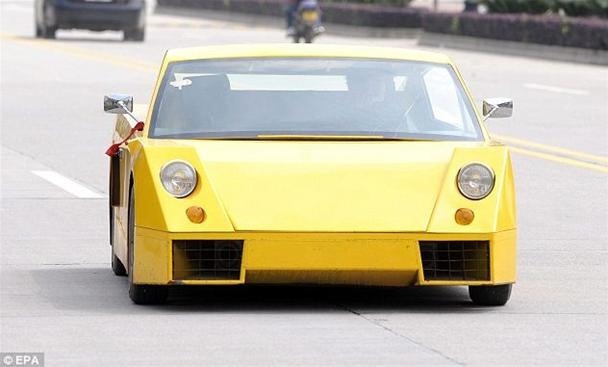 How To: How Did a Chinese Truck Driver Manage to Build His Own DIY Lamborghini? 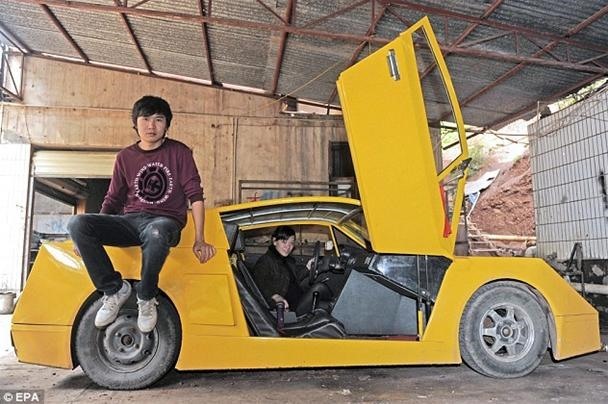 25-year-old Chen Jinmiao of rural China dreamt of one day owning his own Lamborghini. But the truth is, it was highly unlikely he would ever be able to afford one. The lorry driver then undertook an impossibly difficult project- figuring out how to build a replica for considerably less cash. A year and approximately $3,000 later, he achieved his goal. 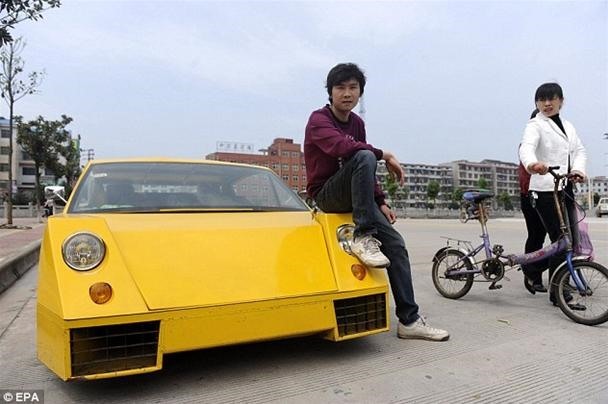 "Chen is more than happy with his replica of the famous Italian sports marque - even if its 60 mph top speed is some 150mph behind the real thing. 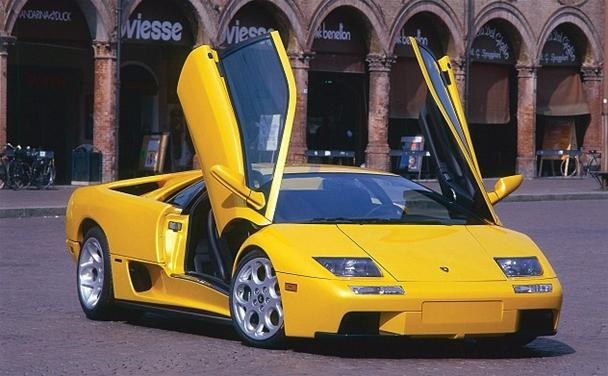 His bright yellow car even has the original's signature scissor doors. 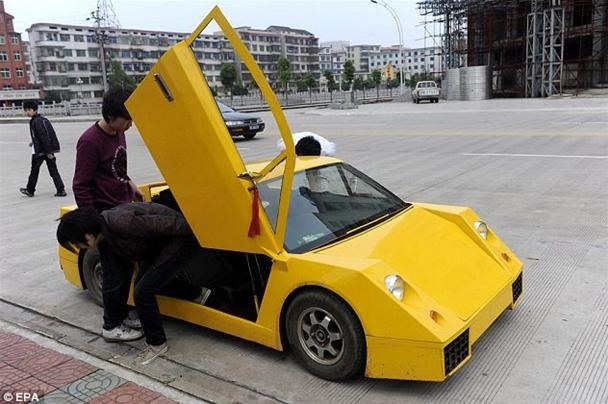 But Chen, who has no formal engineering training, has yet to hear whether he will be allowed to drive his 'baby Lambo' on public roads." Previously, Frenchman Spends 10 Years Building Lamborghini Motorcycle Sidecar. well how fast can it go? it says above: "even if its 60 mph top speed is some 150mph behind the real thing."